AMSTERDAM, NETHERLANDS — In response to dealer requests for a high-performance, low-cost speaker solution that’s ideal for production homes and large projects, Nortek Security & Control (NSC) today introduced its new SpeakerCraft Profile CRS6 ZERO Six-Pack, which bundles together six in-ceiling bezel-less CRS6 speakers for an MSRP of US $499. NSC unveiled the new 6-Pack at ISE 2019 in the Nortek Security & Control Stand 1-N50 in the RAI Centre in Amsterdam. 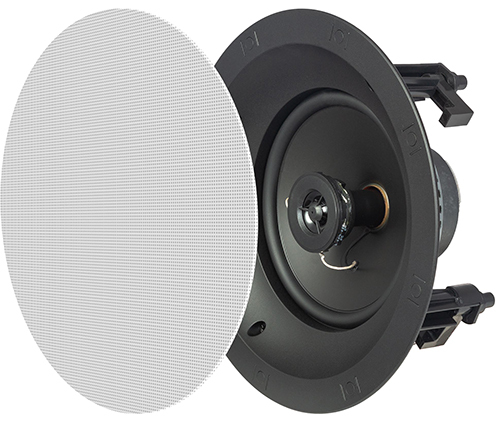 The Profile CSR6-ZERO Six-Pack offers integrators six sharply designed in-ceiling speakers featuring a bezel-less magnetic grille that can be painted to match the ceiling. The CSR6-ZERO handles 100-watts with a 6.5” polypropylene woofer and .5” Mylar tweeter for loud, clean, accurate sound reproduction in any environment. The low-profile design requires a mounting depth of just 3.75” and seamlessly blends into any room’s decor. SpeakerCraft, now part of Nortek Security & Control, combines premier audio with designer aesthetics to fill the home with music and audio enjoyment inside and out. Internationally recognized for innovation in architectural loudspeakers, SpeakerCraft is distributed through a comprehensive channel of select dealers throughout the United States, Canada and countries worldwide. Nortek Security & Control LLC (NSC) is a global leader in smart connected devices and systems for residential, security, access control, and digital health markets. NSC and its partners have deployed more than 4 million connected systems and over 25 million security and home control sensors and peripherals. Through its family of brands including 2GIG®, ELAN®, Linear®, GoControl®, Mighty Mule® and Numera®, NSC designs solutions for security dealers, technology integrators, national telecoms, big box retailers, OEM partners, service providers, and consumers. Headquartered in Carlsbad, California, NSC has over 50 years of innovation and is dedicated to addressing the lifestyle and business needs of millions of customers every day. For further information, visit nortekcontrol.com.